All within an easy convenient location from stores, farmer’s markets, shopping, attractions, and activities, the property is located a short drive away from St-Yrieix (10 min) and near major cities like Limoges (45 min), Périgueux (45 min), Brive-la-Gaillarde (55 min), Bergerac (1hr15); and Bordeaux (2hr20). 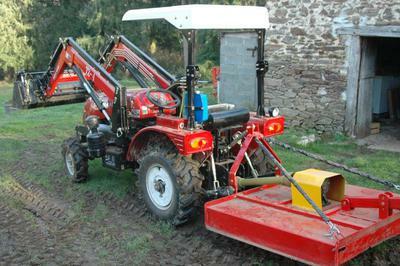 The Blueberry Orchard is a very long term seasonal Commodity Investment for regular side income. 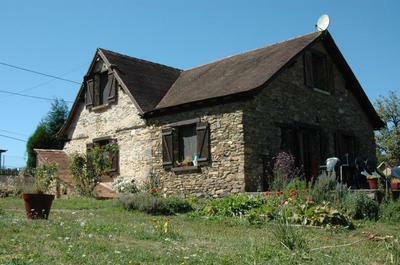 It is a VERY RARE PROPERTY and it is much more profitable than B&B or Gite options. Currently it is setup with 582 blueberry plants total, within 18 rows, with 6 varieties (Darrow, Bluecrop Bluegold, Patriot, Sierra & Bluejay) planted for self crossed pollination, and setup with an electric automatic irrigation water from the property well water (no charge). 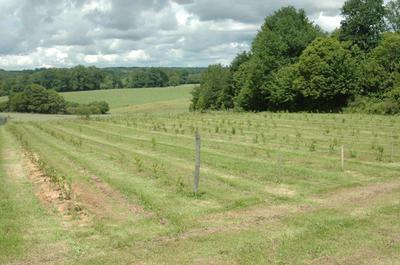 These blueberry plants have settled roots and should thrive for the next 75+ years, will grow between 1.6 m to 1.8m tall, and will provide the owner excellent regular annual income for a very long time (refunding your purchase). •	Lot’s more to talk about and present when you visit and tour ….. The Dordogne Region is the department of 1,000 Medieval Castles, very old underground caves from Neanderthal era, and many lakes and rivers. This region provides countless historic discovering of all sorts, as well as outdoors attractions such as fishing, rafting, kayaking, canoeing, mountains biking, and more within its numerous national parks. You are a short drive away from the famous ARNAC-POMPADOUR horse capital of France (20 min) providing racing, horse jumping, and show on regular basis. You are very close to ROUFFIAC LAKE (10 min), providing bathing and water-skiing, with a white sand beach during our hot/sunny summers. Many little medieval villages classified as historic and touristic, such as Segur-le Chateau, Villars, Brantome, St Pardoux la Riviere, La Roche l’Abeille, St-Paul La Roche, Sorges (also the capital for black truffle mushroom) and many more within less than 40 min drive. Many local markets available such as Objat, St Yrieix, Lanouaille, Excideuil, Thiviers, Nontron, Arnac-Pompadour, Uzerche, Lubersac, and many many more… For all gastronomy enthusiasts, you are in the PERIGORD region, with all its succulent “Foie Gras”, “Duck Confit”, “Goose Confit”, “Black Truffles”, “Duck patés or Rillettes”. All these gastronomic and wine regions are easily accessible on single day trip occasion for you to fill-up your basement with unmatched great wine at local producers’ prices, and enjoy delicious local recipes. 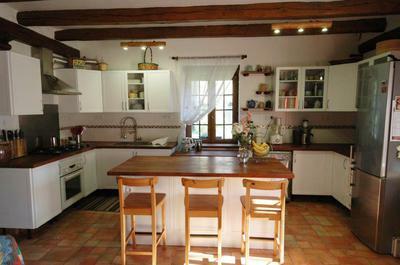 The property is also in the middle triangle of 3 large Natural National Parks: To the northeast the “Regional Park of Limousin”, to the Northwest the “Regional Park of Millevaches”, and south the “Regional Park Des Causses du Quercy”, for all their outdoor activities. Major rivers offer numerous activities, visits, and attractions all along such as the Vezere, the Dordogne, and the Correze. This property is a Rare Opportunity, it is an investment that pays for all its expenses and will also provide additional income for longer than 75 years. Too much too list and explain!